With its variety of different switching function combinations , touch surfaces and mounting rings, five mounting options and a wide range of colors and pictographs, the PK-Push Button series offers the widest product range of all Push Button families of ESCHA TSL. PK-Push Buttons have been used successfully for may years for applications in busses and trains, including high speed trains,. The ESCHA TSL switching principle, based on a hermetically sealed, one-piece housing, operates reliably and wear-free, independent of environmental influences such as temperature, dust or humidity. Microcontroller electronics make a wide variety of functions possible such as extended voltage ranges, optical signaling, i.e. flash frequencies. 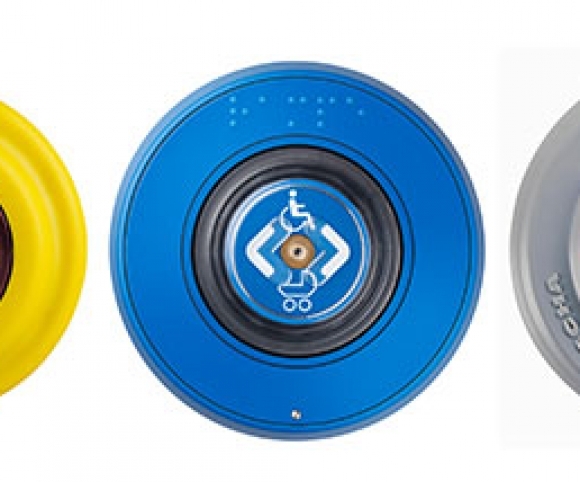 The large choice of pictographs, mounting ring varieties, touch surface-varieties and different led-colors as well, make a wide range of customized CK- Push Buttons possible.